A shower is just a shower, right? And a shower enclosure is just a shower enclosure. Well, not if you are remodeling. When remodeling, you want the best shower enclosures for your buck, and deciding on what is right for you takes time, planning, and a lot of research. Here follows a few of what our team deems some of the best shower doors and shower door enclosures around. With its clear glass panels and brushed nickel finishes, this shower enclosure fits into any difficult corner perfectly. Add to this the low profile base, and your bathroom becomes a stylish haven. A single door shower enclosure in a contemporary style that fits into the modern lifestyle effortlessly. A great product to install instead of an old-fashioned shower curtain. It gives the bathroom a classy feel without the dreaded water overspill common of shower curtains. A sleek, fully frameless design combined with quality finishes makes the DreamLine Enigma stand out. Professional installation, though, is a requirement. If space is a minimum, the DreamLine Aqua Fold provides the finishing touch of style! This shower door ticks all the right boxes where elegance is a premium while space is lacking. 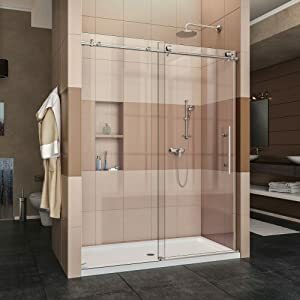 When you have a bath in your shower but do not want a shower curtain, this bathtub shower door offers you the ideal solution. We have all heard that a nice warm bath before bedtime is relaxing and that adding certain salts and potions has a beneficial effect. But did you know that a shower has a list of benefits of its own? Taking a hot shower in the morning, according to research, is believed to boost your creativity, and get you ready for the day. Similarly, a nice warm shower before bedtime helps you go to sleep easier. However, you should not take a warm shower immediately before bedtime at it could disrupt your sleeping pattern. So you need to make sure you have some time to cool down before climbing into bed, otherwise, apparently, your sleeping patterns are disrupted. Who knew that? But if you find that difficult to believe, go read up on the research yourself! It specifically mentions that a warm shower, followed by a cooling down period, induces sleep! Besides the benefits a night time shower gives you, getting cleaned up before bedtime has other health benefits attached. It clears the (facial) skin, reduces your chances of getting breakouts, helps to guard against the formation of wrinkles, and it helps to actively help your night time moisturizer work better! So you have decided to do some remodeling and are contemplating whether to choose a shower enclosure or a shower door. Furthermore, once you have that decided, the next step is to decide on which one. 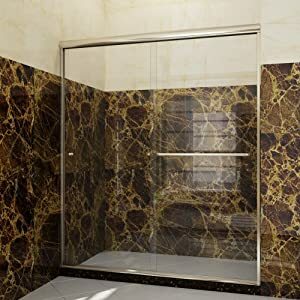 Of course, you want to choose the best shower enclosure you can, and you will probably look at things like the ‘look’ of it, the style, and affordability. 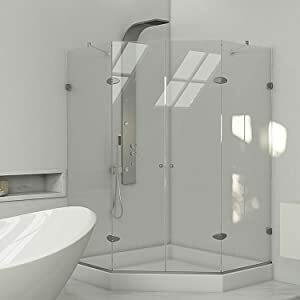 To make things easier, our team has looked at a number of what we feel are the best shower enclosures around, covering all those points. When deciding on your shower, you need to look at the best kind of shower that suits your needs. 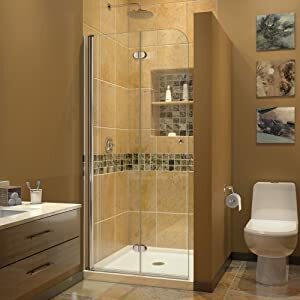 This may include deciding on the best shower door, best shower head, or even best walk in bathtub in which to put your shower. 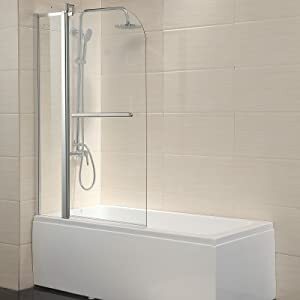 Whatever your shower type and the equipment inside it, one of the factors that need attention is the shower enclosure or door. The best shower doors are usually made of tempered glass. This is for your protection, as it does not break easily. You need to measure for the door size after remodeling is completed, i.e. after the tiles, bath, etc. are completed. Do you want a frame, or do you want to go with a frameless option? Frameless doors tend to cost more, need thicker glass to stay in place, and need sturdier hardware to stay in place. Framed doors usually have a rubber seal. This is usually found around the edges of the frame and binds the door with your shower wall and floor to prevent any water from leaking. A frameless door does not have any seals, so if not 100% properly installed, can lead to some serious leakage. A framed door may look a bit bulky due to the seals, while a frameless door as a clean look, from an aesthetic point of view. Just changing your shower door immediately gives your shower – and bathroom – a lift. Besides the type of shower door, there are many different styles to choose from. We will discuss a few of the most popular ones. The bypass shower door is a sliding door. It usually has two glass panels that tend to slide over each other. One of these ‘doors’ may be a fixed panel, in which case only one of the ‘doors’ actually slide. They are available for conventional showers as well as tub showers. These doors usually have a number of glass panels that fold on hinges. As they do not take up much space, folding in on themselves when open, they are a great option for those who do not have space for a swinging door. This kind of door operates like a regular door in your home. The door swings inwards, or outwards, on a pair of hinges. This is a great option for a small bathroom where space is at a minimum. This door is installed in a corner shower, cutting across at a 45-degree angle. This type of door usually opens outwards due to the smallness of the shower. 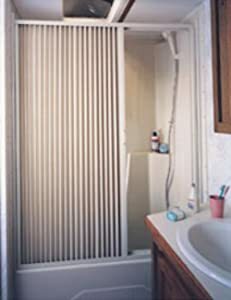 A steam door allows a shower to operate as a steam room. In order to do so, the door extends from the floor to the ceiling, is made of solid glass, and has a hinged door with an air-tight seal. The enclosure also has panels above the door for ventilation purposes. The pivot door swings open and shut on a pivot hinge. The door can open in both directions, at an 180-degree angle both ways. If the pivot hinge is mounted in the center of the door, it can be used as a revolving door. The best shower enclosures are usually those that fit into the specific space they are designed for. To this end, choosing the best shower door for you is a matter of preference. Of those we reviewed, our clear winner is the DreamLine Enigma-X 56-60 in. 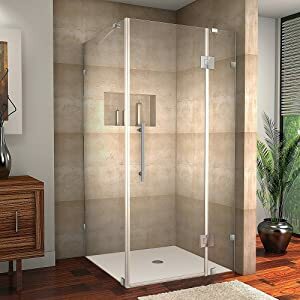 Width, Frameless Sliding Shower Door. It’s sleek, contemporary design gives any bathroom that extra ‘something’, while the quality finishes and frameless design spell luxury. Add to this the anti-limescale finish for easy cleaning, and any homeowner who is house-proud yet hates the hassles of cleaning will think twice before buying a different shower door.